I've only just dipped my toe into the world of luxury lashes, and after I picked some up in America and from falseeyelashes.co.uk, I thought I'd do a review of my faves so far. The first ones I tried are Velour lashes in Momma Knows Best - beautiful natural winged out lashes, that are really fluttery and get thicker towards the outer lashline. These are the most expensive lashes out of the three, but honestly, they are my favourites. They are so so soft and easy to apply, and are the most comfortable of any lash I've tried before. I'd been really wary of spending so much money on lashes with Velour, but now I'm already eyeing up my next purchase - they are my new favourites! Secondly, I got the Huda Beauty Sasha lashes. These lashes remind me of House of Lashes Iconic as they're super thick and spiky. The lashes cross over too, to give a really dramatic effect. The main thing I've found with these is that they are ridiculously hard to apply. The band is so thick that I found one end kept popping off when I was applying them, which is a bit irritating considering how expensive they are! However, I do keep hearing about the Farah style, so will maybe have to give that one a go instead. Finally, I recently got the Lilly Lashes in Goddess. 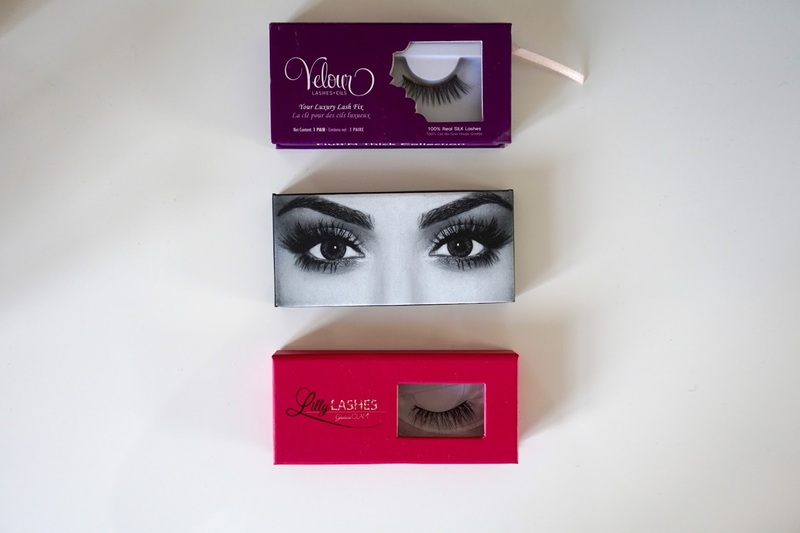 Lilly Lashes have just launched on falseeyelashes.co.uk and I couldn't wait to get my hands on some. After a bit of research, I decided on the Goddess style and these are so pretty. They are dramatic, fluttery lashes that I think would suit everyone! These were pretty easy to apply - the band is definitely thinner than the Huda Beauty ones and they looked lovely when they were on. I haven't worn these as much as the others yet but I can't wait to try them even more! Have you tried any of these lashes? Let me know in the comments.